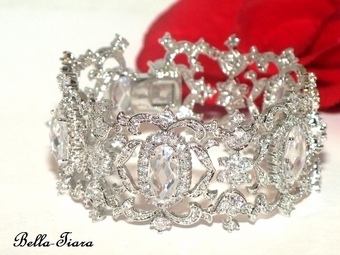 Description: STUNNING NEW DESIGN vintage royal high end CZ cuff wedding bracelet. An absolute beauty... approx. 6 3/4" x 1 1/4" wide.